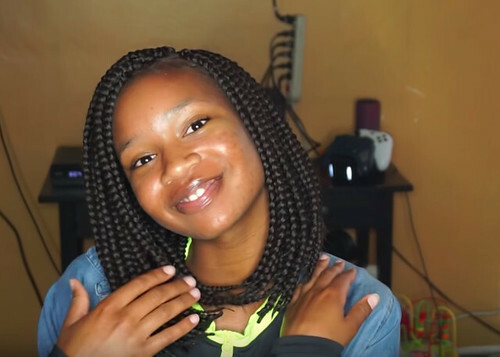 In this tutorial, we are going to show you how to do Bob braids by BreAunna Renee. 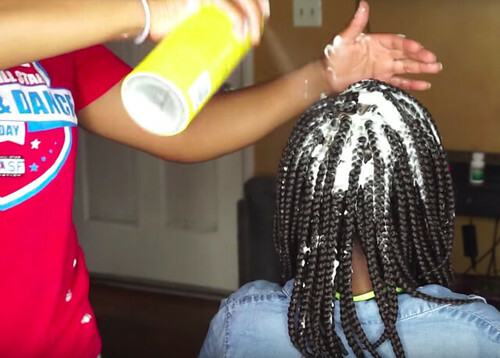 Note: Avoid starting your braids on a dry scalp. 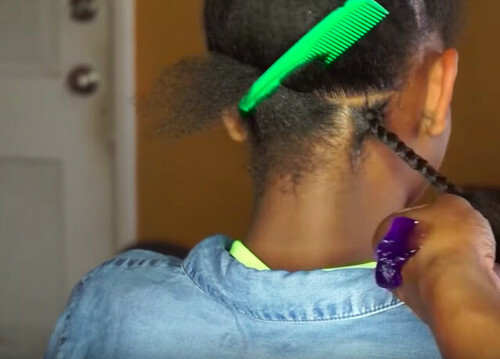 Always make sure that the hair is pre-moisturize before starting the braiding process. Start off by partying the hair in half at the top. You can do the top and the back separately, so go ahead and do that first. 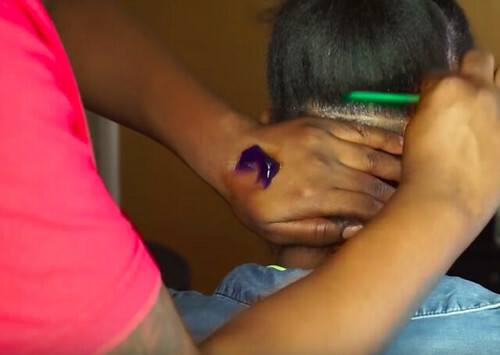 To define the part you can use the Black Panther Edge Control. 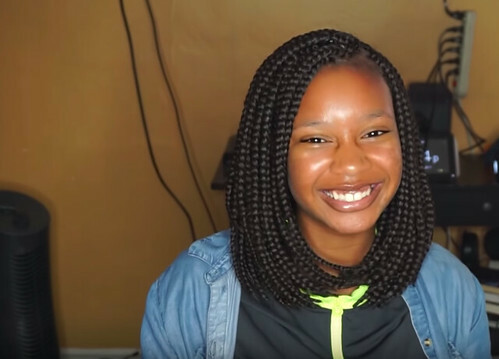 Start by doing box braids in the back section of the hair. 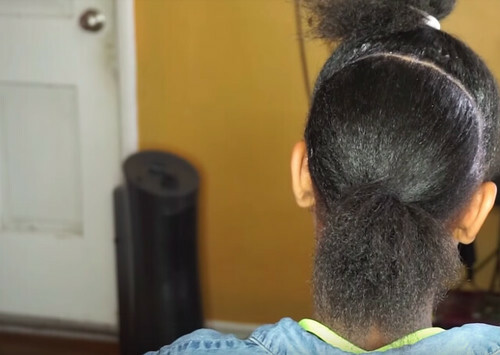 To complete this look, we use three packs of Xpressions braiding hair that you cut into three sections. 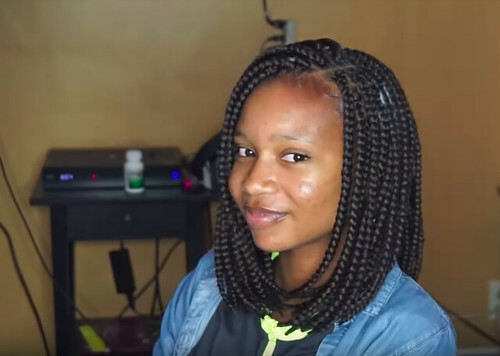 These braids do not have to be too long because it is a bob style. 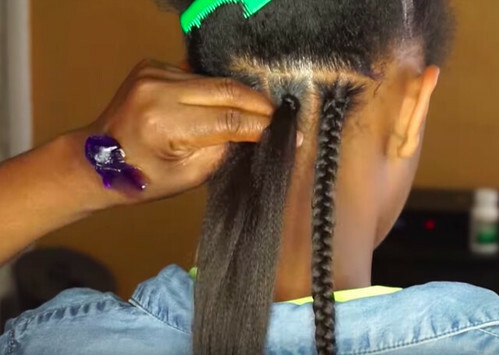 Hint: If the client is allergic to the alkaline-based coating used in most synthetic braiding hair, you can wash her hair in an apple cider vinegar and water mixture, before starting the braiding process. 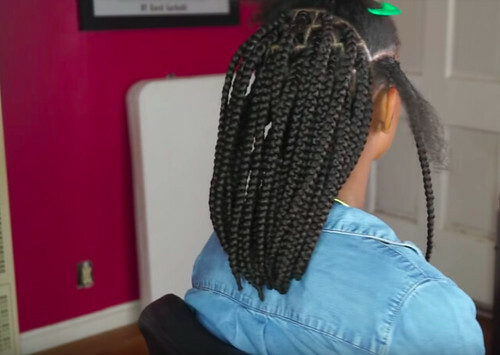 Once you complete the box braids in the back section, go ahead and start burning that section. 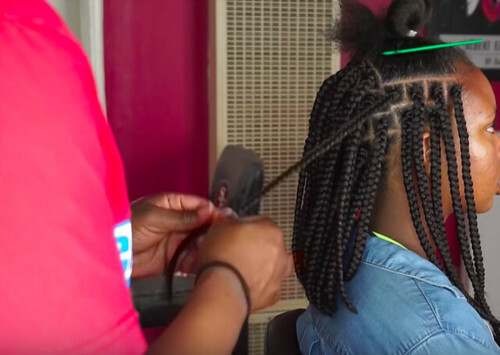 Make sure that if you have a client with medium length hair, pay close attention to where the hair stops in the braids, to avoid burning the client's hair. 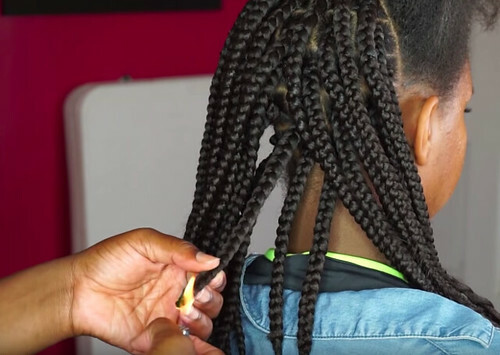 Use your lighter to burn the braids where you want to bob to stop and use your fingers to pinch it as you are burning it to help make sure that the braid comes to a point where I'm burning it at. 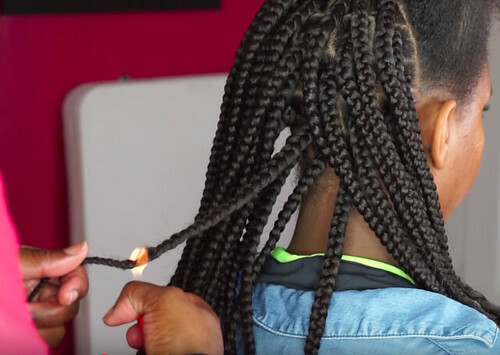 Because these braids are thicker, and it's a lot harder to burn them. Burn the braid a little bit, cut it and then go over it again so that it is properly sealed at the end. 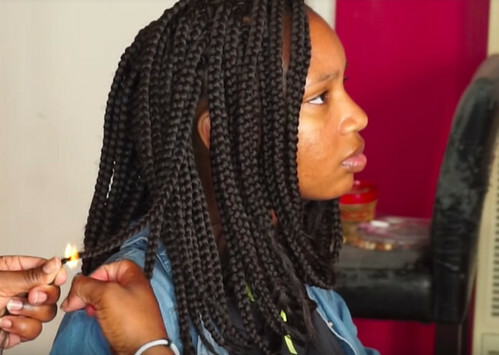 For thinner braids be cautious as you are burning it. 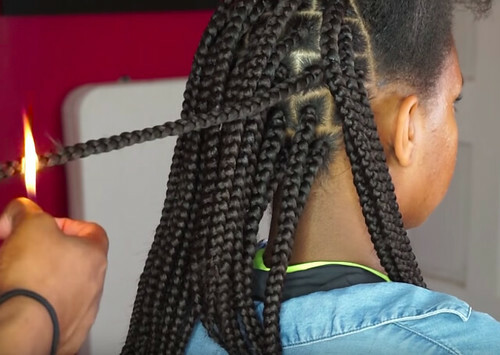 Make sure to burn the braids all evenly so that at the end, the bob hangs even perfectly. The bob should have the same length all the way around. We recommend working on two separate halves, because, as you are burning the hair for the bob your fingertips can get a little raw. So start with the back section first, give your hands a break, and once you finish the top section, you can start burning again. For the top section, do the same thing. Do the rows going all the way up on each side. 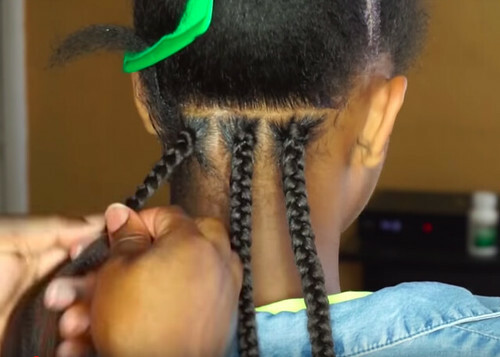 Pull a couple of extra braids over to the right side. Before you burn the ends, roll the bob braids under and check with the client to make sure it is the correct length that she wants. Remember that once you burn it, you cannot make them longer, you can only go shorter. Show her an idea of what the bob would look like before starting burning the top section. 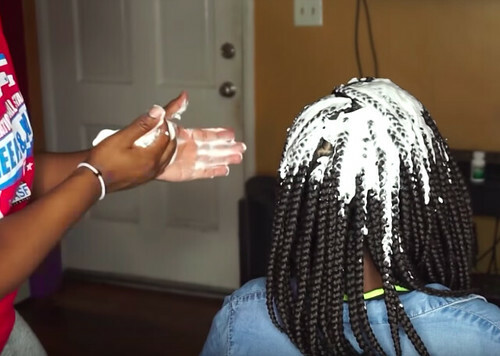 Do not dip the bob braids in hot water as you would for regular box braids. This would avoid losing the curls that go underneath. You can go straight onto putting the mousse on the hair. Next, go over the hair with some hairspray. We also recommend spraying on the organic medicated 5-in-1 anti-itch cream with olive oil, jojoba oil, shea butter and tea tree oil. This is 5-in-1 anti-itch conditioner that also moisturizes the hair.